We assist Lahainaluna High School in preparing students for the annual National English Speaking Union Shakespeare Monologue Competition. We provide a tutor/coach for the students and assist with organizing the in-school competition on campus. The winning Lahainaluna student travels to Oahu, (Theatre Theatre Maui provides airfare for an adult chaperone) and competes in the statewide competition. Should our Maui student win the statewide competition, he or she would travel to the mainland for the national competition. See! 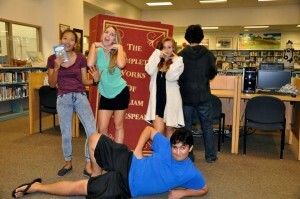 Shakespeare CAN be fun!